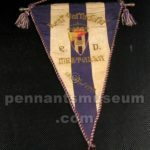 Hand embroidered pennant presented to MESTALLA C.D. in occasion of a match played in the 1943. 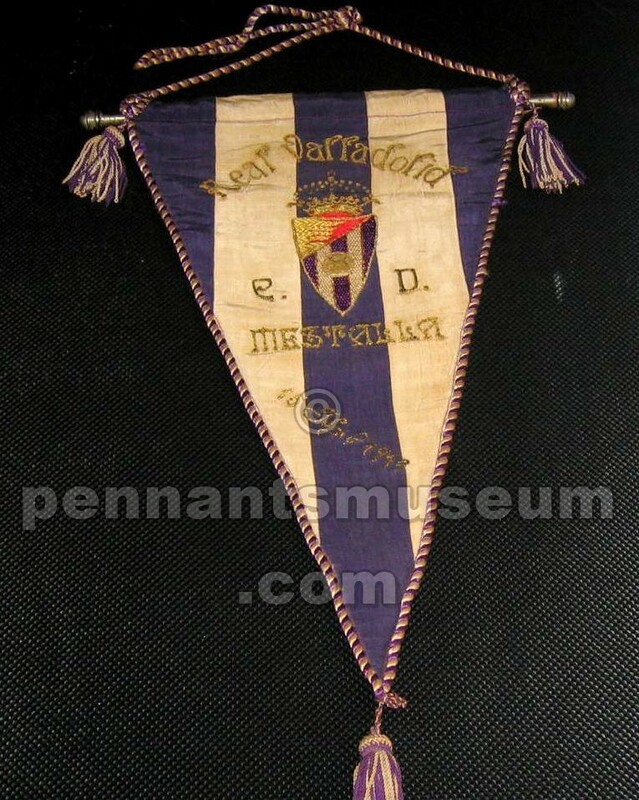 It is of same kind of pennants in use at that age in Spain with nice and very fine embroidery of the club badge and details of the match. As it is a captain swapped one and due to excellent condition despite its age, it can be considered a very nice and rare pennant.